“You sure you want this life?” Crackle has just released a new trailer and key art for season two of The Oath. The gritty drama “explores a world of gangs made up of those sworn to protect and defend. 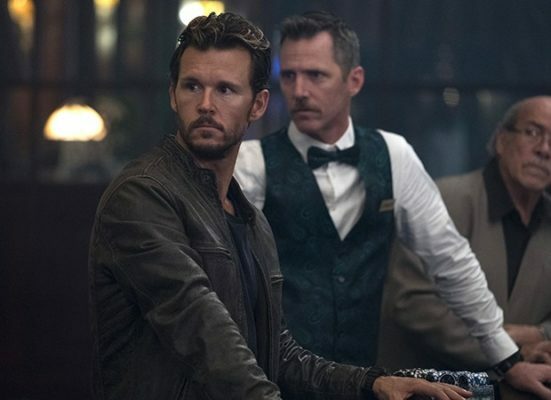 Shedding light on corrupt and secret societies nearly impossible to join, only the chosen few make the cut—and once inside, members do what they must to shield each other from enemies who attack from both outside and within their own ranks.” The cast includes Ryan Kwanten, Cory Hardrict, Katrina Law, Christina Milian, and Kevin Connolly. 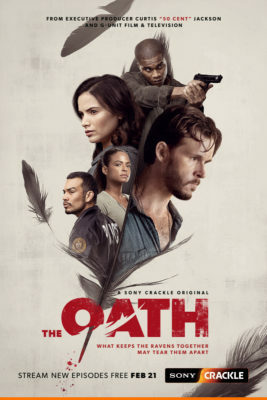 Season two of The Oath debuts on Crackle on February 21st. Sony Crackle today released the official season two trailer of the original drama series “The Oath,” from executive producer Curtis “50 Cent” Jackson and his G-Unit Film and Television Inc. and creator/executive producer/writer Joe Halpin, which is set to return to the free streaming network with 8 all-new episodes on Thursday, February 21 (with a sneak peek on Amazon devices through the Sony Crackle app starting Monday, February 11). “The Oath” explores a world of gangs made up of those sworn to protect and defend. Shedding light on corrupt and secret societies nearly impossible to join, only the chosen few make the cut—and once inside, members do what they must to shield each other from enemies who attack from both outside and within their own ranks. Thesophomore season of the action-packed drama finds the Ravens attempting to free themselves from their debt to the cartel. Themes including redemption and the meaning of family are examined in season two pushing the characters to find a new path, conquer their inner demons and giving them one last chance to reclaim their lives as their own – all while trying to protect the ones they love in the process. What do you think? Have you seen The Oath? Will you watch season two? More about: Crackle TV shows: canceled or renewed?, The Oath, The Oath: canceled or renewed?